With over 25 years’ experience, more than 50 publications on the subject, Jim has an international reputation in petroleum hydrogeology and carbon capture and storage projects. He is currently holding the Professorial Chair of Petroleum Hydrodynamics at the Centre for Coal Seam Gas at the University of Queensland. Prior to this Jim was managing the research program for ANLEC R&D with an annual research budget of ~$18 million AUS applied to more than 50 active research projects supporting Australia’s CCS demonstration. He sat on the Sustainable Energy for the Square Kilometre Array (SESKA) geothermal project control group and the Australian Standards mirror committee for international standards on carbon capture and storage. 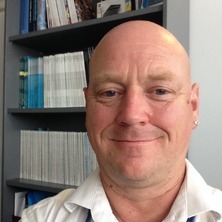 Previously, Jim was the CSIRO Lead for the Unconventional Petroleum and Geothermal Energy R&D program, with more 50 Full Time Equivalents and an annual budget of ~$16 million/yr AUS and he concurrently managed the hydrodynamics and geochemistry discipline group within the Australian Cooperative Research Centre on CO2 (CO2CRC). Jim's early research in Canada, pioneered the characterisation of hydrodynamic systems in thrust fold belts that contributed to successful development of some Canadian foothills conventional gas discoveries. Jim's work on the initial assessment of coal bed methane potential in Alberta helped form the pre-competative data that provided the foundation of a new resource type to be developed. His work on faults and hydrodynamics brought him to Australia to assist in the first hydrodynamic assessment of Australia's NW Shelf that provided industry a basis for pre-drill de-risking of fault seals. Jim translated his knowledge of seals analysis unconventional gas to applications for Carbon Storage, teaming up with Lawrence Berkley National Laboratory and participating in the Frio carbon storage pilot in Texas. His experience provided him the opportunity to take a leading role in the development of carbon storage research in Australia, including the design and execution of Australia’s first carbon storage demonstration at the CO2CRC Otway site in Victoria. The success of Otway led to Australia's investment in the CCS Flagship program. Jim's current research associated with hydrodynamic processes relating to Coal Seam Gas in Australia is helping lay the foundation for de-risking uncertainty in production performance and aquifer integrity. This supports Australia's ability to capture a share of the rapidly developing international gas market and enables a global shift from coal to gas. Sedimentary basins host important groundwater resources in Australia. Due to their large size, groundwater can be important to multiple users from multiple industries, including the Coal Seam Gas (CSG) industry. Regional scale groundwater modelling is critical to understand water movement within sedimentary basins and to predict cumulative impacts from groundwater pumping on water users and the environment. Regional groundwater models are based on hydrogeological conceptualisations developed using 3D geological models and knowledge of aquifer and aquitard properties and boundary conditions. However, the representation of geological structures such as faults and the hydraulic property attribution of aquifers and aquitards in groundwater models are often informed by sparse data, resulting in large scale uncertainties of the model impact predictions. This PhD project will focus on the characterisation and representation of the macroscopic hydraulic properties of faults in regional scale groundwater models and quantification of associated uncertainties. The student will apply methods from groundwater and petroleum system approaches for solving a real-world problem of quantifying uncertainty induced by geological structures in the simulation of hydrological variables using a regional scale groundwater model in co-operation with Gas Industry Social and Environmental Research Alliance (GISERA), University of Queensland (UQ) and CSIRO. Bachu, S and Underschultz, JR (1995) Large-Scale Underpressuring in the Mississippian-Cretaceous Succession, Southwestern Alberta Basin. Aapg Bulletin-American Association of Petroleum Geologists, 79 7: 989-1004. Bachu, S, Ramon, JC, Villegas, ME and Underschultz, JR (1995) Geothermal Regime and Thermal History of the Llanos Basin, Colombia. Aapg Bulletin-American Association of Petroleum Geologists, 79 1: 116-129. Villegas, ME, Bachu, S, Ramon, JC and Underschultz, JR (1994) Flow of Formation Waters in the Cretaceous-Miocene Succession of the Llanos Basin, Colombia. Aapg Bulletin-American Association of Petroleum Geologists, 78 12: 1843-1862. Bachu, S and Underschultz, JR (1993) Hydrogeology of Formation Waters, Northeastern Alberta Basin. Aapg Bulletin-American Association of Petroleum Geologists, 77 10: 1745-1768. Hitchon, B, Bachu, S and Underschultz, JR (1990) Regional Subsurface Hydrogeology, Peace River Arch Area, Alberta and British-Columbia. Bulletin of Canadian Petroleum Geology, 38A 196-217. Hitchon, B., Underschultz, J. R., Bachu, S. and Sauveplane, C. M. (1990) Hydrogeology, geopressures and hydrocarbon occurrences, Beaufort-Mackenzie Basin. Bulletin of Canadian Petroleum Geology, 38 2: 215-235. Underschultz, J., McCallum, J., Banks, E., Mukherjee, S., Xu, H., Noorduijn, S., Copley, J. and Wolhuter, A. (2017). Incorporating fault properties in groundwater flow models: Gloucester basin NSW, Australia. In: 79th EAGE Conference and Exhibition 2017: Energy, Technology, Sustainability - Time to Open a New Chapter. 79th EAGE Conference and Exhibition 2017, Paris, France, (792-796). 12-15 June 2017. Advancements in fault seal analysis and basin hydrodynamics - what have we learned in the last 10 Years? Kirste, D., Perkins, E., Boreham, C., Stalker, L., Schacht, U. and Underschultz, J. (2010). Geochemical monitoring and geochemical modeling of the CO2CRC Otway Project CO2 storage pilot, Victoria, Australia. In: Goldschmidt 2010: Earth, Energy, and the Environment: Abstracts. Conference on Goldschmidt 2010 - Earth, Energy, and the Environment, Knoxville TN, United States, (A521-A521). 13-18 June 2010. Underschultz, JR and Lytviak, AT (1993). Deep Waste Injection, Western Canada - Analysis of Data and Requirements for Numerical-Simulation. In: Application of Geographic Information Systems in Hydrology and Water Resources Management. International Conf On Application of Geographic Information Systems in Hydrology and Water Resources Management ( Hydrogis 93 ), Vienna Austria, (271-278). Apr 19-22, 1993.